Semolina dosa / Rava dosa recipe is the most popular South Indian dosa variety. 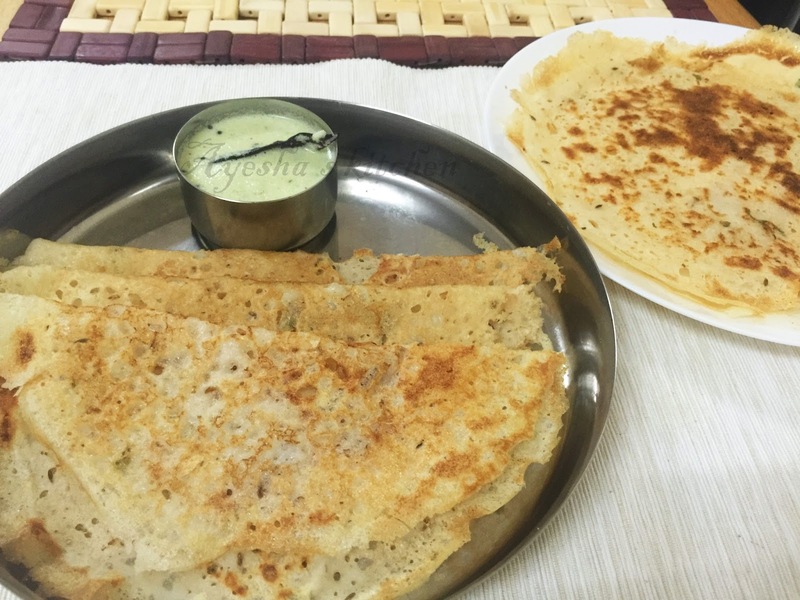 This dosa recipe is very easy to make as they did not require any fermentation process. I made plain semolina dosa with rice flour, semolina, spices and skipped the spicy chili and leaves of coriander. You must be careful that the batter of semolina dosa must be very thin and easy to flow. For best results, Semolina dosa / Rawa dosa must be served hot. Hope you all like my recipe of semolina / rava dosa. Do try and drop your valuable comments. 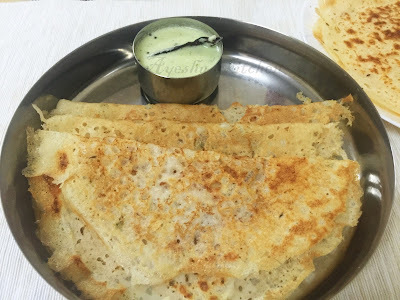 Here is the recipe showing how to make Indian dosa recipes / dosai / rava dosa restaurant style /south indian breakfast dosa. Soak semolina in half a cup of water with 2 tbsp curd for 10 minutes. Adding curd is optional else soak in water only. Grind together soaked semolina, rice powder with 1.5 cups of water to a fine paste. Transfer it to a bowl and mix in cumin seed, chopped chili, finely chopped onion and coriander leaves. Check for salt also. Make the batter a dropping consistency like rice flour dosa batter. Heat a tawa and grease it with oil/ghee. If you are using a nonstick pan, u can add 2 tsp hot oil to the batter and so no need of greasing the pan after making each dosa. When hot, make the flame to medium and pour a ladle full of dosa batter from the edges towards the center. Sprinkle some oil on the top and flip the dosa once it becomes crisp or golden. When both the sides are done, transfer the dosa to a serving plate. Prepare all other dosai the same way. Serve the rava dosa or semolina dosa with coconut chutney. Rawa dosa has to be served immediately, as it becomes hard once cooled.